Ms. Nesbo is the latest bestselling author to have been commissioned to retell a tragedy originally written by Shakespeare and to spin the tale in a modern way for the a 21st century audience, he chose Macbeth. “Macbeth “is a thriller about the struggle for power. 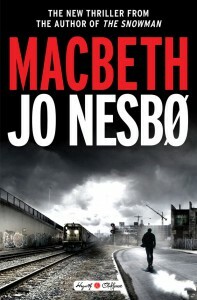 In Mr. Nesbo’s version the main character “Macbeth”, is the leader of a Swat team in a coastal city where crime is rampant. After a drug bust that went terribly wrong Macbeth and his team must clean up. Power and money becomes the main character’s ambition. He is soon plagued by hallucinations and starts to unravel. In order to get what he thinks is rightfully his, Macbeth does the imaginable…. Nesbo’s revamp is an intricate and dark plot weaved in intrigue, passion and the fallibility of the human mind. It is also a gripping drama that enfolds out of guilt, ambitions and moral conflicts. The story is well-written as a police drama the author is known for. 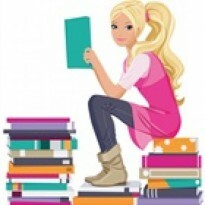 It is a hard book to get into with its multiple characters to get to know and a story that is filled with conspiracies and murders to track of; it is not an easy read. It took quite some time before I managed to piece everything together but mid-way without even realizing it I was totally hooked and I could not put this book down so intrigued to see what would come next I kept pushing forward and I could honestly say that by the end I enjoyed this tragedy. This dark and gritty crime noir fiction is an excellent addition to join the list of books retelling Shakespeare’s plays by well-known authors.